This post examines the treatment by the National Vaccine Injury Compensation Program (NVICP) of the first of two claims (see second one here) heard from those claiming vaccines cause more injuries than acknowledged in recent days. This article will focus on vaccine injury compensation and mitochondrial disorders – while the second one will cover an NVICP decision with respect to a form of an autoimmune syndrome. a proximate temporal relationship between vaccination and injury. Althen v. Sec’y, HHS, 418 F.3d 1274, 1278 (Fed. Cir. 2005); see de Bazan v. Sec’y, HHS, 539 F.3d 1347, 1351-52 (Fed. Cir. 2008); Caves, 100 Fed. Cl. at 132 (specifying that each Althen factor must be established by preponderant evidence), see Holt v DHHS (p 100, pdf). This standard is a break compared to the standard in the regular courts, where a plaintiff would have to show general causation – in other words, show that science establishes a connection between the vaccine and the injury, using scientific studies. Essentially, a plausible claim promoted reliably by an expert is enough, without strong scientific support for the claim. That doesn’t mean that anything goes, however. The claim still needs to be plausible and the expert at least somewhat credible. The cases claiming vaccines cause autism – the Omnibus Autism Proceeding cases were rejected because three separate special masters found the hypotheses petitioners brought were implausible, not supported by good evidence, and their experts less than credible. While the requirements of NVICP are forgiving and relatively lax, winning is not automatic. 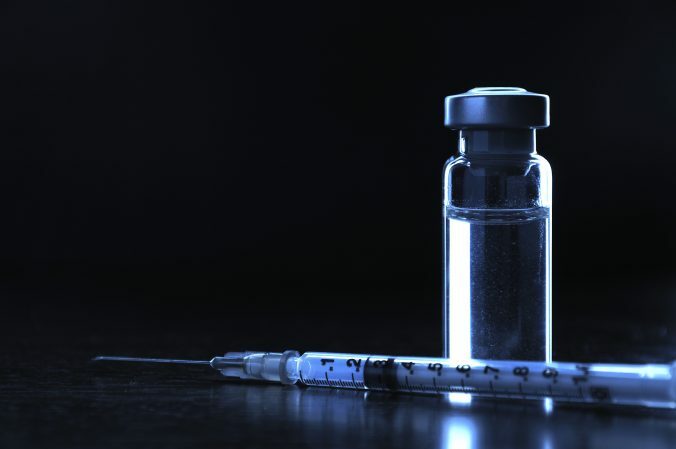 The case was based on the belief that vaccines aggravate preexisting mitochondrial disorders, attempting to use the unusual Hannah Poling case to claim vaccines do, at least sometimes, cause autism. In short, the Special Master in this case found that even under the program’s lax standard neither claim holds water. In 2008, during the Omnibus Autism Proceeding, the government conceded and compensated Hannah Poling, a young girl, to the tune of several millions for injuries that included developmental regression. The government conceded that the petitioners met “the statutory criteria” to show that a fever caused by Hannah’s 19 months vaccines may have triggered a preexisting mitochondrial disorder, leading to a table injury of encephalopathy. Scientists pointed out how unusual this case was, and that it cannot be translated into “vaccines cause autism.” But several anti-vaccine activists started to claim that their child has an underlying mitochondrial disorder and therefore, like in the Poling case, vaccines triggered an encephalopathy that manifested as autism. The case is long, and suggests, among other things, that the child did not have a mitochondrial disorders and that the symptoms that the mother claimed happened right after the vaccine did not, in fact, happen that way. But the focus of this post is not on that, but on the Special Master’s discussion of the mitochondrial claim. The petitioners presented an expert claiming the child’s mitochondrial disorder was triggered by a fever caused by her hepatitis B vaccine. The Special Master carefully examined the evidence, analyzing each article in detail. He found that the petitioner expert’s articles did not provide good support to the claim that vaccines – with or without a fever – can trigger a mitochondrial disorder. The papers included Dr. Poling’s case study of his daughter (published without mentioning it was his daughter); a relatively small scale study by Shoeffner that did not actually connect vaccines to mitochondrial disease and autism but did purport to connect fever to autistic regression when there’s a mitochondrial disorder and a few other articles. … neither the Poling case study or the Shoffner paper carry sufficient indicia of reliability for me to credit Dr. Kendall’s theory. Illness may aggravate or exacerbate an extant mitochondrial disorder, but there is little evidence that illnesses can trigger an underlying genetic disease. There is no evidence, other than Dr. Kendall’s opinion, that a vaccination can do so. In the Shoffner paper, vaccination alone did not trigger a decompensation in any of the children. In the Morgan paper, the children with urea cycle disorders–those most likely to respond adversely to febrile events–did not experience more decompensations in the seven days after a variety of vaccinations than in the period more than 21 days after such vaccinations. The Special Master is clear: the evidence does not support the claim that vaccines can trigger an underlying potential mitochondrial disorder. The claim is speculative at best, and potentially contradicted. So what about the Poling case? First, the Special Master highlighted factual differences between the cases; but he also goes on to explain why, as a legal matter, Poling’s case is not determinative here. Even though the Poling claim was compensated, a published decision in the case indicates that compensation was based on the presence of a Table injury, in which entitlement to compensation is legally presumed. Poling v. Sec’y, HHS, No. 02–1466V, 2011 WL 678559, at *1 (Fed. Cl. Spec. Mstr. Jan. 28, 2011) (fees and costs decision, noting that the case was compensated as a Table injury). Such a decision cannot be precedential under any circumstances, as decisions issued by special masters and judges of the Court of Federal Claims constitute persuasive, but not binding, authority (Hanlon v. Sec’y, HHS, 40 Fed. Cl. 625, 630 (1998)), and certainly not in a case. In other words, Poling was compensated because once the DHHS acknowledged an encephalopathy within the time frame, causation is presumed as a matter of law. Petitioners did not have to actually prove it. The language of the concession does suggest causation; but it’s not something that had to be demonstrated. Basically, what the concession meant is that the government was not willing to try to prove it was not the vaccines. The legal standard for compensation was met. This was an appropriate case to compensate a vaccine injury, but not strong proof of causation. Holt makes it clear that there is no viable legal claim that vaccines cause a child’s autism by triggering a preexisting mitochondrial disorder: the science to prove that belief is simply not there. Editor’s note – this article was first published in November 2015. It has been reformatted for clarity since it explains a part of an important new case on vaccines. Shoffner J, Hyams L, Langley GN, Cossette S, Mylacraine L, Dale J, Ollis L, Kuoch S, Bennett K, Aliberti A, Hyland K. Fever plus mitochondrial disease could be risk factors for autistic regression. J Child Neurol. 2010 Apr;25(4):429-34. doi: 10.1177/0883073809342128. Epub 2009 Sep 22. PubMed PMID: 19773461.